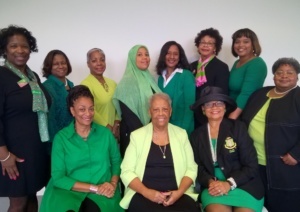 The mission of The 1926 Foundation, Inc. is to support the programs of the Omega Omega Chapter of Alpha Kappa Alpha Sorority, Inc. while also providing scholarship assistance to high school and college students that either plan to attend college or are already enrolled in college. The Board of Directors will promote and provide charitable, community and educational services that further the mission of Omega Omega. The Foundation will receive annual financial support from the portion of annual chapter membership dues duly approved by the body of Omega Omega financial members each year. The Board will raise funds to support the administration of the Foundation, and charitable community organizations whose mission reflects the programmatic thrusts of Omega Omega. The Board will also ensure that the Foundation engages in nondiscriminatory practices, policies, and procedures in accordance with Federal regulations. For more information, please visit our foundation website at the1926foundationinc.wixsite.com/the1926foundationinc.